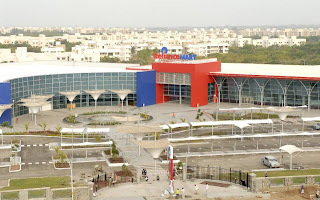 Our Retail Analyst has toiled and covered the entire 18 months period of Making of the India’s Largest Shopping Mart – Reliance Mart Jamnagar. 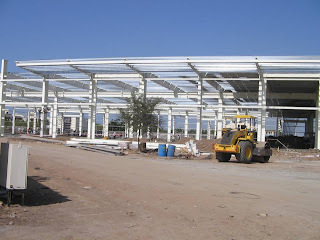 The mega store is spread on a 14 acre land with 94,000 sft built-up and doing business while the second phase of 66,000 sft still under construction. The rest of the area is for Landscaping 🙂 The construction for the project started in Oct-2006 and was completed by Nov-2007. 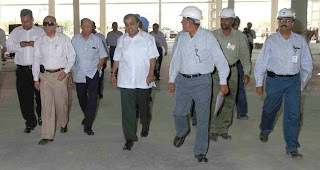 RIL, Chairman – Mukesh Ambani inspecting the construction of Reliance Mart at Jamnagar in the Picture Below. 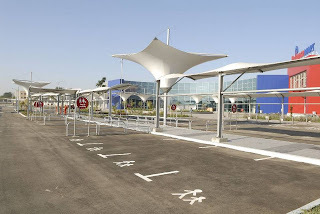 The store has General Entry to Common People – 4 Nos, Special Entrance for Township Residents – 3 Nos and Utility Gates – 2 Nos. 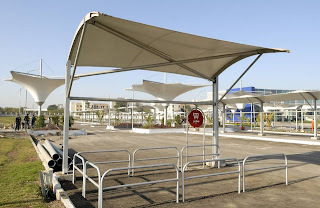 Reliance Mart can accommodate 450 Cars, 100 Motorbikes, 15 Bicycles and 6 Buses in its designated parking lot. 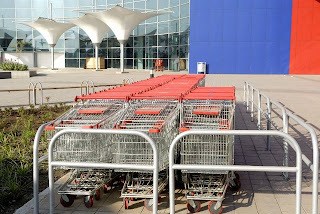 The store has 2,500 trolleys and 10 trolley parking areas as shown below. 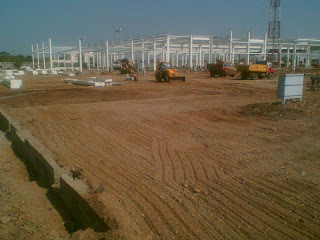 Here is the Bird’s Eye View of Reliance Mart, Jamnagar. 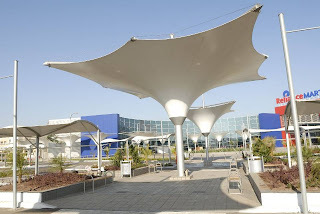 In the next post we will walk through the interiors of Reliance Mart at Jamnagar, India’s Largest Shopping store.